Our mission is to take Christ to the streets, to meet the homeless where they are, and to love them as they are. Just because someone doesn't have a home doesn't mean that they are any less a person. We offer church services at 2021 Saturn Rd., Suite D, every Sunday at 11:30 a.m. Every Sunday afternoon, we will have another service on the streets at a location which will be announced weekly. 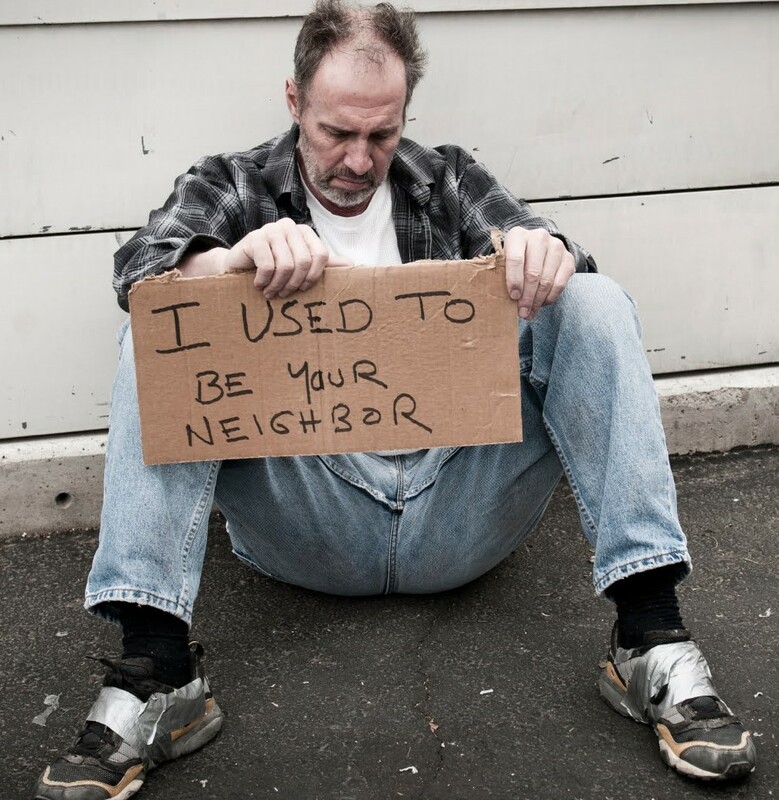 One of our own board members experienced homelessness and wishes to share his story so you too can understand how easily it can happen to any one of us. Homeless families, homeless children, homeless seniors, homeless vets, homeless babies, homeless mentally ill, homeless physically challenged. These are God's children; these are your neighbors! Don't let them be cold; don't let them be hungry; don't let them be lonely, don't let them die!! Even $5/mo. can help end homelessness!! We are a 501(c)(3) non-profit charity. "Then there is the other kind of idler, the idler despite himself, who is inwardly consumed by a great longing for action who does nothing because his hands are tied, because he is, so to speak, imprisoned somewhere, because he lacks what he needs to be productive, because disastrous circumstances have brought him forcibly to this end. Such a one does not always know what he can do, but he nevertheless instinctively feels, I am good for something! My existence is not without reason! I know that I could be quite a different person."